If you missed the opportunity to win a PokerStars Players Championship Platinum Pass during the recent SCOOP series, don´t worry. 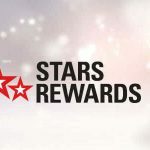 There are more than 190 opportunities remaining to secure your place before next January´s event – three of which are being offered by PokerStars´ Ambassadors in three unique challenges. 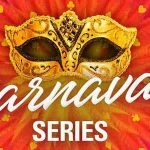 Last week, PokerStars gave away five PSPC Platinum Passes to the three winners of SCOOP Main Events, the winner of the SCOOP leaderboard competition and the winner of an All-In Shootout open to any player who had competed in a SCOOP tournament. 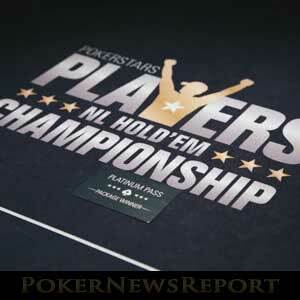 The site has now given away 108 Platinum Passes for the $25,000 buy-in PokerStars Players Championship, but has more than 190 left. 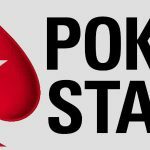 To help reduce the stack of Platinum Passes taking up cupboard space at PokerStars´ HQ, the site approached its Ambassadors and asked them for some suggestions. The best three were chosen; and, although two of them are country-specific, they offer unique routes to qualify for next January´s event. Unfortunately, players in France, Spain, Portugal, Italy and New Jersey are ineligible for all three routes. The Bro Battle was the brainchild of Felix “xflixx” Schneiders, who together with his GRND colleagues Niklas “nikkymouse” Ehrenholz and Murat “pantau77” Tulek will select viewers from their live Twitch streams to play in a monthly live Sit & Go game at Schneiders´ streaming studios in Cologne Germany. Every player who competes in one of the live Sit & Go games will be entered into an exclusive online “Bro Battle” tournament on Sunday 2nd September in which the winner will receive a PSPC Platinum Pass. The winner will then receive free coaching from Schneiders before heading off to the Bahamas. Due to the selected players having to pay their own travelling expenses to Cologne, this challenge is only open to players from Germany, Austria and Switzerland. Further information about the challenge will be announced from today on Schneiders´ social media channels and Twitch stream. As Random as it Gets is an apt title for the challenge dreamt up by two of PokerStars´ most popular Twitch streamers – Fintan “EasyWithAces” Hand and Ben “Spraggy” Spragg. Each day over the next nine weeks (from 28th May), the two players will be setting whacky challenges for their viewers to complete. The winner of each challenge plus one weekly wild card winner will be invited to play in an online “Random as it Gets” tournament (dates yet to be announced) which will award the winner a PSPC Platinum Pass. More details can be found below and during the players´ show on twitch.tv/pokerstars. Although not strictly country-specific, Andre Akkari´s “From BSOP to PSPC” strongly favours players able to attend live Brazilian Series of Poker (BSOP) in Sao Paulo in July, two yet-to-be-announced live BSOP events later in the year, and the live BSOP Millions in Sao Paulo in December. At each of the first three live events, players who have finished in the money in the opening tournaments will be entered into a draw to play in an eight-handed Sit & Go game. The winner of each Sit & Go game will be invited to a three-player play-off for a PSPC Pass in Sao Paulo on 6th December. Of course being from Brazil, I wanted to give the Brazilian poker community a new opportunity to win a Platinum Pass through an exciting path created by me. The BSOP is a much loved event and has a great atmosphere so I thought it would be the perfect event for my route. I’ll be at all the events so it’ll be amazing to see the buzz around the place.